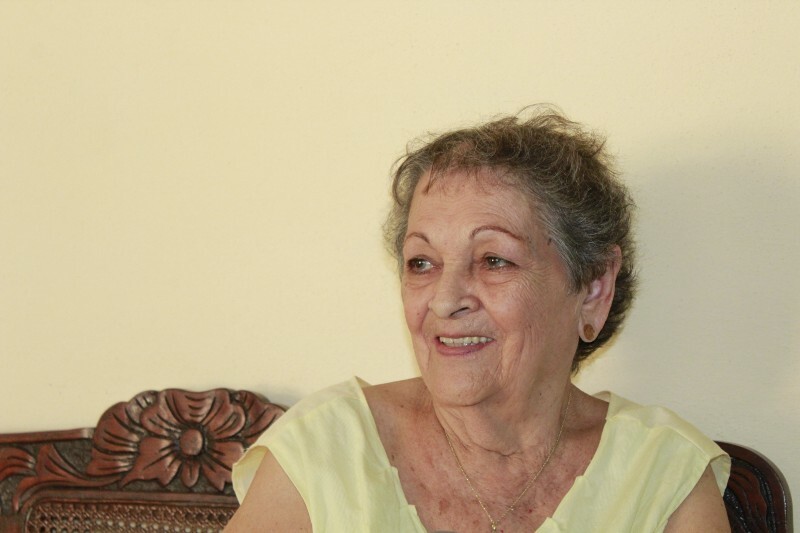 RODAS, Cuba — Leaning on a cane in her small living room in this rural village, Gladys Cristina del Caridad Gonzalez, 84, reflected on Pope Francis’s historic visit and what she hopes is a profound shift in Cuba after decades of living her faith in the shadows of the communist regime. But she was even more interested and delighted to hear news of her grandson, Daniel Rodriguez, 29, an engineer in New Orleans who spent his early years in Rodas. Daniel grew up in a time when the Catholic Church was beleaguered across Cuba, a legacy of Fidel Castro’s revolution. Gladys, in the privacy of her home, bristled at the official pronouncements made by Communist Party leaders while giving her grandson rudiments of faith. God is everywhere, but you don’t see him, Gladys said she would tell Daniel during his visits to Rodas while his mother Ana worked. It was Gladys who taught him to make the sign of the cross at night, and with holy water when they went to church. On Sundays she dressed him well, put on her best and took him to Mass. Watch what I do, she whispered, at the points of standing and kneeling in the liturgy. He made his First Communion, unofficially, with his grandmother. At night she taught him to pray: We ask for good health, good luck, justice and fairness, especially for people not fortunate. Then he would say the Our Father and make his own private requests. In May, Daniel visited his grandmother for the first time in seven years as the relations between the US and Cuba begin to thaw — thanks in no small part to the involvement of Pope Francis and the church. In her living room in Rodas, where the walls were adorned with posters of Pope Francis ahead of his visit, a laminated newspaper photograph of Gladys, dark-haired and easy on the eyes, next to her husband José Manuel Rodriguez, handsome in a cowboy hat at the town store, showed the good life of her late twenties. Gladys and her husband José were colonos, respectable landowners, when they moved from José Manuel’s family farm, or finca, to Rodas in 1957 to bring their two daughers closer to the local school. After Fidel Castro’s forces ousted the tyrant Fulgencio Batista in 1959, change came to Rodas in rolling waves. Public schools improved and expanded, while Castro began efforts to crush the church deporting 60 percent of the priests and nuns, driving religion almost underground. Gladys gave birth to Daniel’s mother Ana in 1962. Two years later, José Manuel died at age 38, leaving Gladys a 32-year-old widow with four girls. She leaned on her faith as she grappled with the loss of her husband and the Revolution’s takeover of her farmland. When Ana’s son Daniel was born in 1986, Ana had him quietly baptized in Santa Clara. She avoided church, yet wanted Daniel to have some connection to the Catholic faith. “I regret that Daniel didn’t make his First Communion, but I was afraid that my career would suffer if I was seen going to church,” Ana said. In 1988, Ana was hired as a translator in building a Soviet-funded nuclear power plant near the port of Cienfuegos. Gladys took care of Daniel. 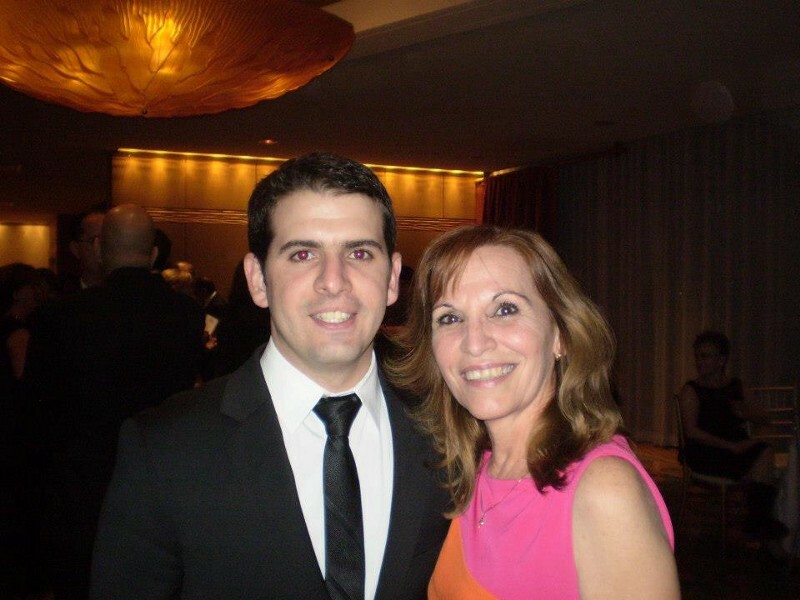 After Ana met a Cuban engineer and eventually remarried, Daniel still spent weekends with his grandmother. As she planted seeds of the boy’s faith, Gladys, who had never left Cuba, gave her grandson inklings of a wider world. Ana and her family family moved to Havana in 1993. As Daniel moved through middle school, the only time he attended Mass was on trips back to Rodas to visit his grandmother. Ana still avoided church. In 2011, Daniel enrolled in the elite Vocational Pre-University Institute of Exact Sciences, known as the “Lenin school.” He was 15 and thrilled to board at the rural campus outside Havana, with weekends home. The rigorous teaching, range of students and the immersion in math and science opened his viewfinder on life to come. The food was poor, but in sports and study groups, Daniel forged a bond with guys who, like him, would leave for America in their twenties for better opportunities. As President Raúl Castro has opened the Marxist economy to incremental private enterprise and real estate, Cuba faces the major challenge of brain drain: how to keep its best and brightest. After freshman year in University of Havana’s top engineering track, Daniel saw no future. So on a government-approved trip to Mexico, he made his way to a Homeland Security station at the border of McAllen, Texas. “I want to finish college in America,” he recalls telling the intake official. The man wished him luck. The next day he flew to Miami, where two of his maternal aunts live with their husbands. Given temporary residential status in Miami, Daniel found work in a Cuban restaurant, switched to a job selling shoes, then a hotel clerk. He took ESL lessons at Miami-Dade Community College and won a statewide math prize. He then switched to private tutoring in math and science for the children of doctors, lawyers and other wealthy Cuban Americans. Back in Havana, Ana fretted over Daniel, her son ever capable of negotiating his way in the world. How long before she saw him? Daniel left Miami in 2007 as his mother was gravitating back to church. Three years later, he persuaded Ana and his stepbrother to leave Cuba for Miami. By 2012, Daniel was pursuing an engineering degree on scholarship at Manhattan College. In five years, he had mastered English, vaulted to the city of cities and that autumn landed a part-time job at Goldman Sachs. He was he also confronting his spiritual identity. A theology professor, Natalia Imperatori-Lee, of Cuban descent, exposed him to the progressive thought of the 1960s Second Vatican Council. The Church of Rome had opened itself to the modern world when the Revolution was persecuting the Cuban church. He thought again of his grandma, bypassed by Vatican II, yet she had given him fundamentals of a faith he never thought of as a dynamic process until college. As Daniel went back to church, one of the Goldman bosses told him that committed people worked weekends and holidays to catch up on work. Sundays of a soulless, workaholic culture had no appeal. At graduation, he took an offer from ExxonMobil, working as an engineer at an oil refinery in the New Orleans area. He also helped his mother Ana, who had since divorced, and his stepbrother relocate to Miami. But New Orleans captivated Daniel: the Spanish colonial architecture, music tides and Caribbean pace echoed Cuba. He began attending Mass at a Jesuit parish near Audubon Park. Now, eight years after he arrived from Cuba, he has no college debt, a nice apartment in the city’s warehouse district and is helping his mother purchase a home in Miami. Daniel made his first trip back to Cuba in May, spending four days in Rodas with his grandmother. Gladys has made trips to Miami to visit her daughters, but felt it too daunting to uproot from the village of her life. “Now that I’m past the immigrant survival period, I’ve had time to think about more existential things, like my role as a Cuban and what’s going on now,” Daniel reflects. “I was talking to my grandma about this, asking her about my grandfather who died before I was born, the kind of life they had, looking at the documents of the farm they used to own. I think my generation could be a bridge between people from the early exodus, and those who remain in Cuba, by engaging with them, trying to bring back things that were lost because they clashed with the Revolution, pushing for certain values,” Daniel says.